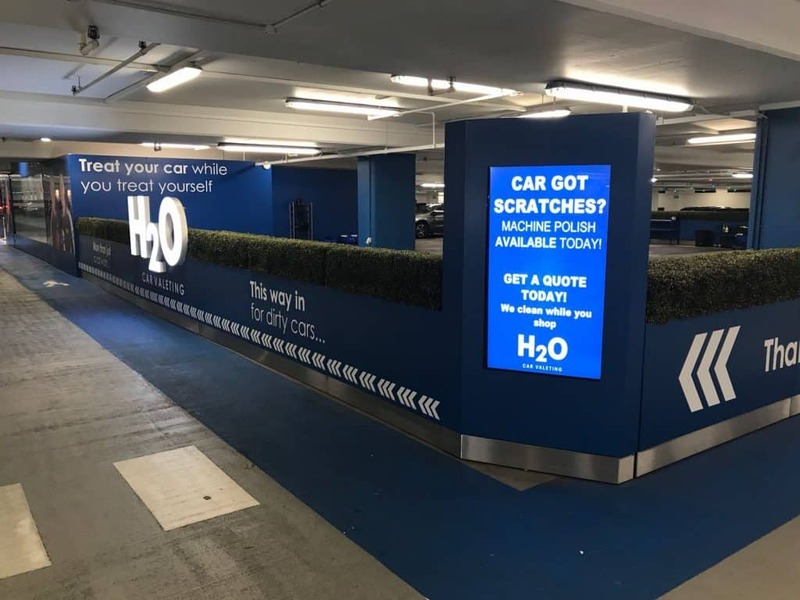 H2O is a premium car valeting service company operating in the car parks of many of the UK’s top shopping centres. Started in 2003 the company’s first site was at The Mailbox in Birmingham, an upmarket shopping Mall with designer stores such as Armani and Harvey Nichols. To appeal to the sort of customers that used the Mailbox the company always had to maintain a high standard and as a premier service. 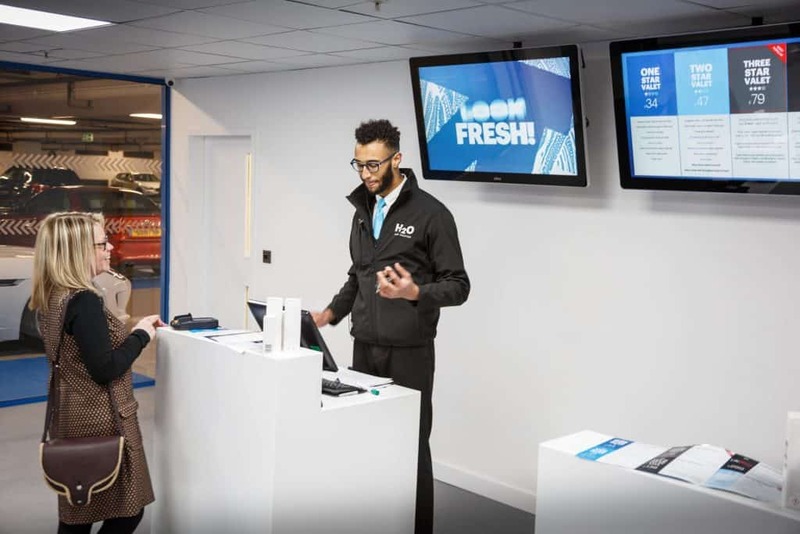 Now with many sites across the UK the company has found a great space in the hospitality market that allows customers to get their cars washed and cleaned to that high standard all while they shop. It was in September 2016 that H2O first approached us looking for a Digital Signage solution. They were in the planning stages of refurbishing their site at Birmingham’s iconic Bullring Shopping Centre. They had been using traditional printed signage, illuminated light boards and a sandwich board on this site. 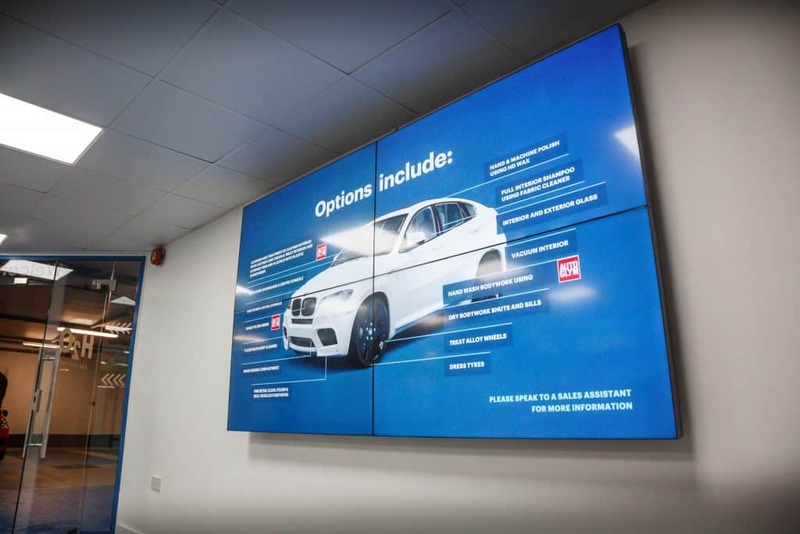 But as part of the refurbishment to the site they were looking at Digital Signage to really make an impact with their advertising/signage efforts. The site had a reception/waiting area that needed signage. At the entrance and exit to the reception they wanted Digital Signage displays that were approximately ‘A3’ sized, at reception they wanted a Video Wall plus other Digital Signage displays in the room. 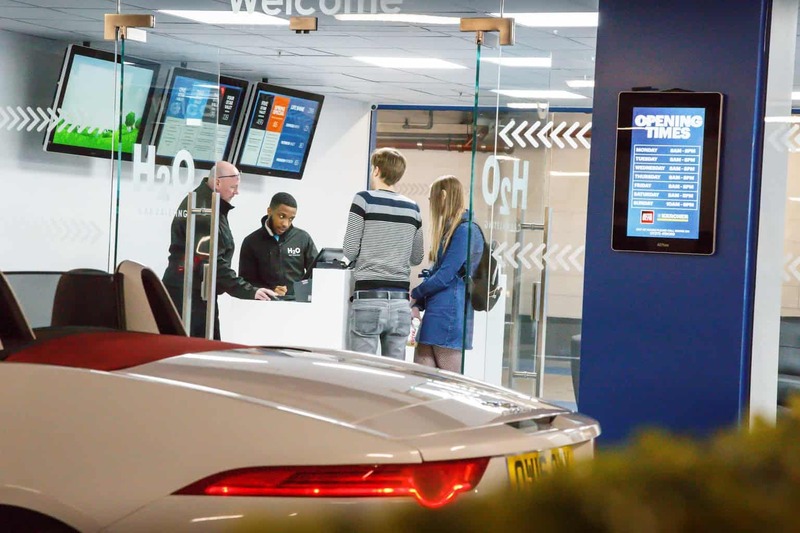 At the entrance and exit of the refurbished H2O site they required large Digital Signage displays that could help inform customers that they had reached their destination. 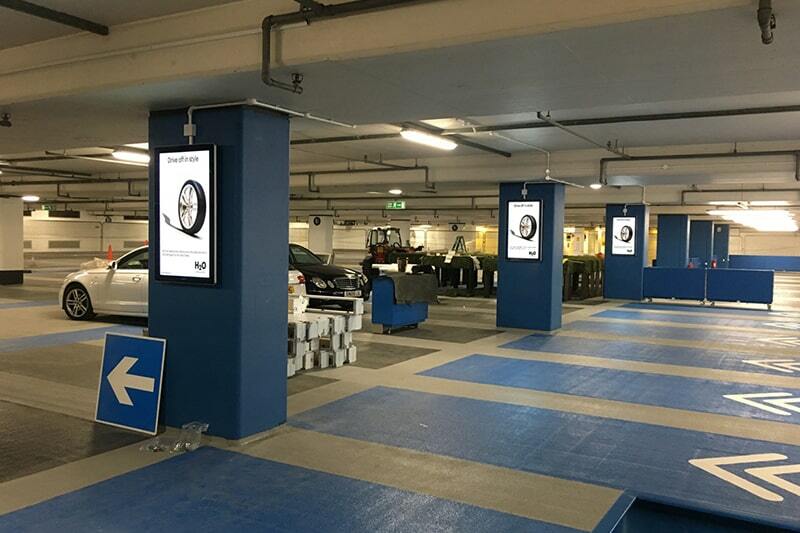 Finally they wanted Digital Signage displays to be mounted onto the pillars within the actual car park to advertise their services to drivers entering and exiting the car park. They wanted the ability to update the screens remotely and have all their content synchronised. With so many screens and requirements this was obviously going to be a big project. 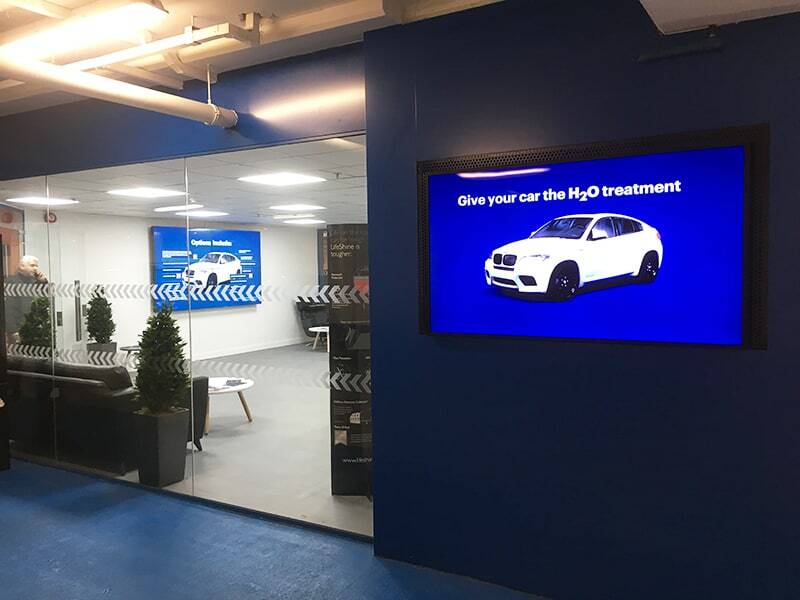 H2O wanted to make a splash with the refurbishment and offer a more luxurious experience with car valeting and needed the screens to reflect that too. As H2O had been using printed signage beforehand we were able to supply them with a complete all in one package. From our commercial screens, CMS software, to even the mounts, we supplied them with everything they were after. We mainly supplied the company with our Android Network Advertising Displays, with their tempered glass front and aluminium surrounds, they exude the high class sophistication that H2O were looking to achieve with the refurbishment. For their reception area we provided two 22” Android Network Advertising Displays to flank the entrance and exit. We decided that 22” was the best fit for the ‘A3’ size requirement they had told us. A networked 65” Large Size Professional Monitor was provided for the external wall of the reception. Inside the reception area a 2×2 Video Wall was absolutely the best configuration to go with. With 55” LCD Video Wall panels the Video Wall is neither too small nor too overpowering for the wall space in which it sits. Our Video Walls were the only product that we supplied that did not have network accessibility built into the screen. However we were able to provide an Android Cloud Network Media Player so the CMS features were available on the Video Wall. To replace the outdated looking illuminated posters that had previously been in the reception, we installed three 43″ Android Network Advertising Displays. As they are ceiling mounted and in landscape orientation they form a definite focal point for the room. At the entrance and exit of the H2O site they requested larger Digital Signage displays, we debated whether to go with our Android Network Freestanding Digital Posters or our Android Network Advertising Displays. In the end 50” and 55” Android Network Advertising Displays have been mounted in special made enclosures at these points. The last requirement to fulfil was the screens for the pillars. 43” Android Network Advertising Displays fitted the pillars perfectly so we went with five of these displays. The most challenging part of this project was trying to get all the screens networked as a multi-story car park is an unusual environment and understandably does not have easy internet access. With our advice and expertise on the matter though, we were able to guide H2O on how to boost the Wi-Fi signal to an high enough level. H2O decided that they wanted to use our CMS to manage their content. As we make both the screen and the software, it is an attractive prospect for a company to get everything they need from a company like ours. This way all their training and technical support comes from one source. We were able to supply H2O with a complete Digital Signage package. Since the screens have been installed at the refurbishment finished the project has been deemed to be a big success. They have received positive feedback from customers about their new signage. 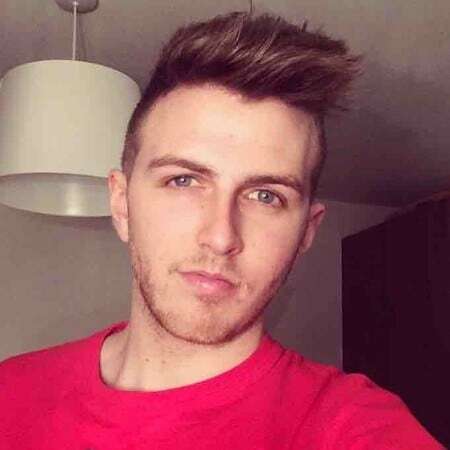 They are attention grabbing and giving customers a very positive experience. In the future H2O have also told us they are looking at the possibility of rolling out Digital Signage across all of their other sites.